Faster than you can say “trans-Neptunian object” three times, the reaches beyond Neptune’s orbit start to fill out in this animation. And it’s astounding. Dots representing icy bodies large and small fill the area. What’s more sobering is realizing how little we knew about this region 20 years ago. Pluto was the first object in that region discovered in 1930, and it wasn’t until 1992 QB1 was discovered that our understanding of this neighborhood increased, wrote creator Alex Parker, a planetary astronomer at the University of California, Berkeley. “Made this for a talk I gave today. I think it came out pretty nice,” Parker wrote yesterday (May 29) on Twitter. I just read that Pluto might share its atmosphere with its moon Charon. If Pluto shares its atmosphere with Charon, then it’s not sharing very much, because occultation studies of Charon haven’t detected it, while Pluto’s stands out – Pluto’s atmosphere is thick/hazy enough to make occultation measurements of Pluto’s radius very ambiguous. It does not have to be thick, but the very idea that 2 objects actually could share an atmosphere is pretty new to me and very interesting concept. 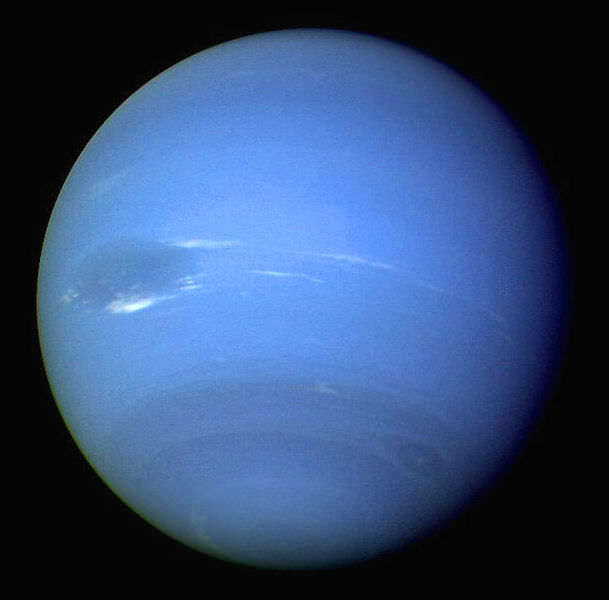 Beyond Neptune, we have low mass objects and also the orbital speed is way lower. The gravity gradient from the Sun is also very flat. So out gassing of Pluto when it heats up combined with the low gravity could is an interesting idea. The discoveries in the video taper off toward the present time (at the end). Why is this? Do we need better images to discover more? Have we got them all down to a certain brightness?